2010 Farm Aid Charity Auction Total! 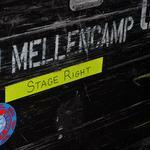 John Mellencamp Community > MELLENCAMP.COM ANNOUNCEMENTS > Announcements & Updates > 2010 Farm Aid Charity Auction Total! A big thank you goes out to all of the fans that bid on items, donated merchandise and donated to our 2010 Farm Aid Charity Auction. Most of the items have been shipped this week with the rest of the items going out when we return from Farm Aid on Monday! We are still waiting payment from a couple of people but will issue John and the Farm Aid Family a check for $3,000.00 unless I get some payments in today! I will update the grand total when all payments are received. Another fantastic donation because of YOU the fan!